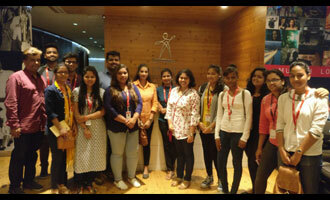 MET Institute of Mass Media students recently went for an academic tour to Prime Focus World. The purpose of the tour was to acquaint them to the real world of post production - an extremely important element in any audio visual content. This was a part of the Practical Sessions on ‘Editing Sense’.